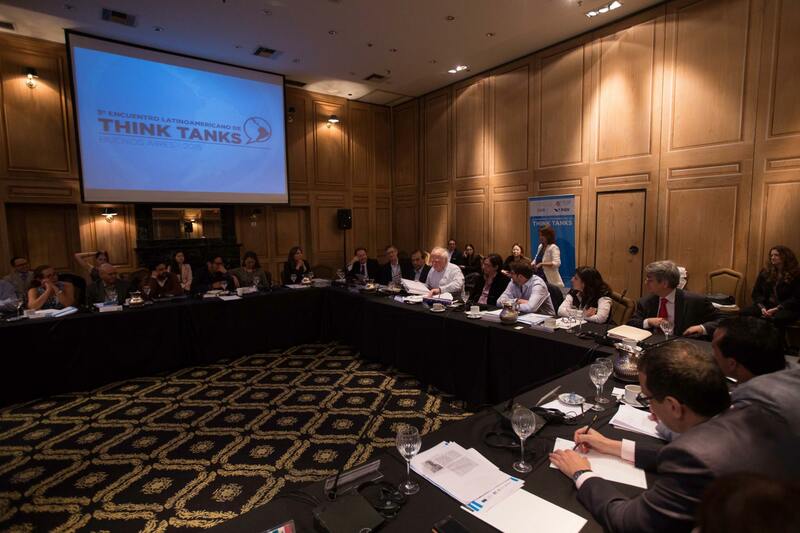 I attended the Third Latin American Think Tank Summit 11-13 November, in Buenos Aires – to share lessons from ELLA’s support for think tanks/research centres on joint comparative research for policy purposes. It was a fascinating two days, hosted by two of Argentina’s leading think tanks, CIPPEC (an ELLA partner) and CARI, and the larger than life figure of Professor James McGann, the power behind the University of Pennsylvania’s annual global Go To Think Tank ranking report. Forty or so think tanks were present from across the continent, including five of ELLA’s six Latin American partners, so this was a great opportunity for a rapid tour of the Latin American panorama. Most striking for me was the session on ‘think tanks and electoral processes’. In country after country, these leading think tanks have played a prominent role in organising and structuring electoral debates, typically between Presidential candidates. ASIES in Guatemala, CADEP in Paraguay and Grupo Faro (and ELLA partner) in Ecuador recounted their experiences in organising present and past TV debates. 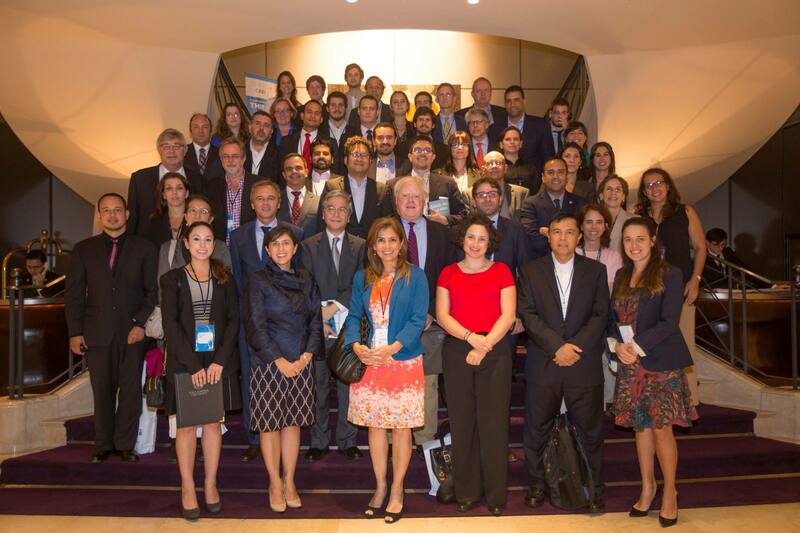 CIES in Peru, a consortium of research centres and think tanks, has also long played this role. And CIPPEC , apart from organising the TT Summit, was a force behind the second round run-off debate two days after the Summit, between Argentine Presidential candidates, Mauricio Macri and Daniel Scioli. It occurs to me that these Latin American think tanks play a more direct role in the electoral processes of their countries, than their counterparts in the Anglo-Saxon ‘North’. This is a distinct and noteworthy contribution to the debate of evidence-based policies, even where candidates frequently resort to the rhetorical instincts of politicians everywhere. In countries where democracy and high quality news reporting are less rooted, these think tanks have filled a valuable niche in promoting democratic consideration of policies. If it has not been done already, it would be interesting to do a process trace on some of these cases, to discern impacts. Latin America’s growth prospects have deteriorated a lot in the last two years. But many Summit participants saw this as an opportunity to further public policy reforms. Attention to the monitoring and evaluation of public policies and programmes is growing in many countries across the region; GRADE (an ELLA partner) reported on recent experiences in Peru. And even though governments tend to want to listen to and publish the good news, impact evaluations are also increasingly widespread – with the pace set by Mexico and Brazil’s Conditional Cash Transfer programmes. Evaluation is one of the four pillars of CAF’s modernisation of the state agenda, and think tanks across the region have a key role to play in supporting rigorous evidence-based impact evaluations. I participated in a session on south-south cooperation between think tanks, along with IEP (Peru), the Asian Development Bank Institute, and ARU (Bolivia). Interesting initiatives include ILAIPP, a network of research centres from seven Latin American countries, devoted to collaborative research on issues of regional importance. My thanks to CIPPEC, CARI, FGV and the University of Pennsylvania’s Think Tanks and Civil Society Programme (CCSTP) for organising such a stimulating two days. How do you compare Latin American and African development experiences? How to measure impact of south-south research and knowledge exchange initiatives? Next Next post: How to measure impact of south-south research and knowledge exchange initiatives?